Download Twitter Video & GIF to MP4. Online, Fast and Free. We would appreciate if you could spread the word about our website. We put much effort to create it. Simply add "sss" after https:// in the tweet link and navigate you browser to that URL! This is the easiest way! Social Network Twitter is one of the most popular websites in the world. The site is designed for public exchange of messages using the web interface, instant messaging tools or third-party client programs for Internet users of any age. Among the content that users publish on Twitter video is one of the most popuar one. And it's not strange: tweets that contains videos look more attractive and gathers far more responses than regular text. According to the statistics of 2018, out of 100 tweets 10 contain video. 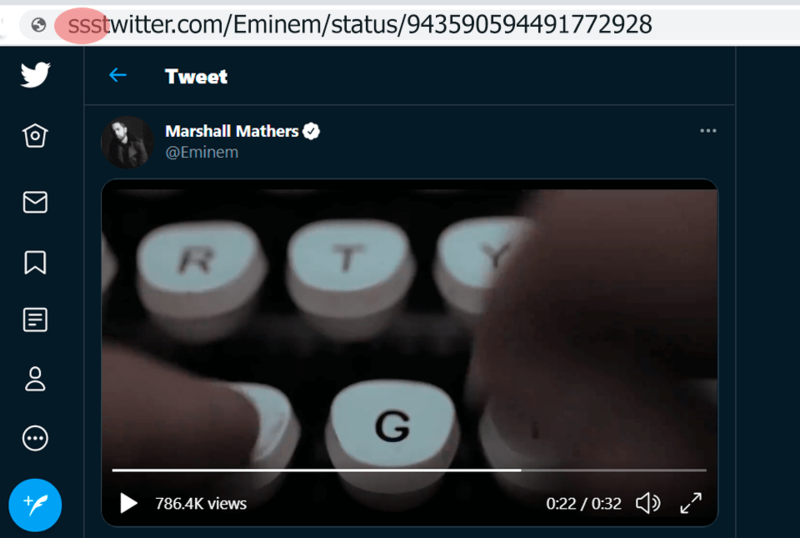 Like any video published on the Internet, a video from a specific tweet may be needed by the user on a computer or phone. For example it is convinient to have it on hand when there is no internet. 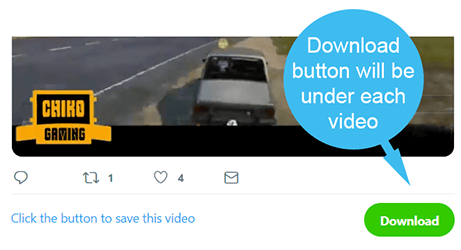 Another reason why you might need to download Twitter video is the removal of the video by the owner or by Twitter, if this video violates the terms of service. You can not download the video in the standard Twitter application or on the official website, but the solution still exists. All you need to do is go to www.ssstwitter.com, insert a link to a tweet that contains video, and click the "Download" button. Downloading is completely free for all users. Our website works perfectly with all kinds of devices: both Desktop and Mobile. It doesn’t matter whether want to get a video from the news, music account or a guy who posts funny cats. To get all those, you need the URL of the Twitter video or the post that contains the video. Simply pasting it on the main page of our website you can save the Twitter video into the device you are using, with desirable quality — including HD. Step 1. Open the video you want to download. You can do it with a web-browser or official Twitter app. Step 2. Copy the link of the Tweet. Step 3. Visit www.ssstwitter.com and paste the link in the corresponding field. Step 4. Press Download button and choose desirable quality. If you have questions, please watch the video below. Step 1. Download any convenient file manager from the App Store. As an example, you may want to try “Documents by Readdle”. Step 2. Open the tweet with the video you want to have a 24/7 access to. Depending on the way you prefer scrolling Twitter feed, you can open the video in the Safari browser or the official app. Step 3. Copy the link of the Tweet. Step 4. Launch the recently installed file manager and find a Browser tab in the bottov right corner. Click on it. Step 5. In the appeared browser type www.ssstwitter.com in the search bar and go to the site. You should notice a window, which asks you to insert the copied link – do that, and then tap on Download. Watch the video below if you still have questions.